The “true objectives” of those countries opposed to current Venezuelan President Nicolas Maduro is to “control the vast resources” of the South American country. 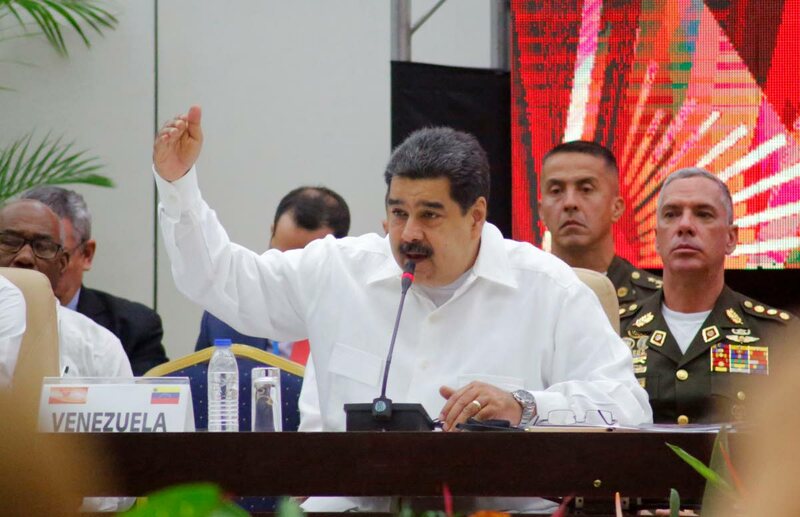 And as countries continue to choose sides between Maduro and president of the Venezuela’s National Assembly Juan Guaido, the Cuban government expressed its “unwavering solidarity with the government of Constitutional President Nicolás Maduro Moros. “The true objectives of actions against Venezuela are to control the vast resources of this sister nation and destroy the value of its example, as an emancipatory process defending the dignity and independence of Our America. Cuba said other coup attempts against previous Venezuelan president Hugo Chávez should not be forgotten such as the “military coup of 2002 and the 2003 oil lockout; the aggressive US Executive Order describing Venezuela as "an unusual and extraordinary threat to national security and foreign policy" of the superpower; unilateral coercive measures; the call for a military coup against the constitutional government of Venezuela; the President of the United States’ threat to use "a possible military option" and the August 4 assassination attempt against President Maduro. Reply to "Cuba: US wants ‘vast resources’"